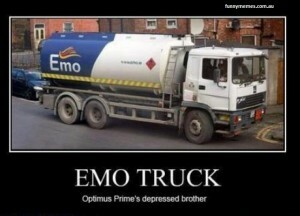 Funny emo truck meme, Optimus Prime’s depressed brother. 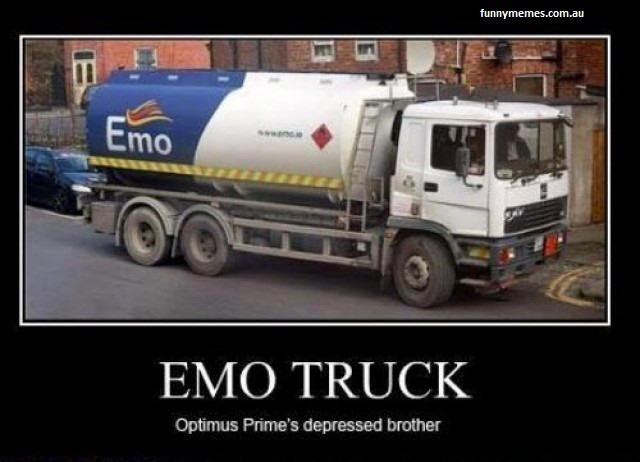 This entry was posted in Car Meme and tagged emo truck meme, optimus prime meme, transformers meme. Bookmark the permalink.